I wouldn’t be where I am without Wally! When I was invited to be the Guest Speaker at the 2013 Speech Day, my thoughts returned to the days I spent in the physics lab in the 6th form. Although it was more than thirty years ago, I can still remember sitting on the uncomfortable seats whilst the physics master ‘Wally’ Evans would attempt to drum into our heads some principles of optics or classical mechanics. The seats may have been uncomfortable but those classes were the ones I looked forward to all week. Physics was always the subject I liked the best. It seemed to combine the rigour and beauty of mathematics with the practical aspects of experimental science. Whilst studying in the upper 6th for my A levels, I was also studying hard for the Cambridge Colleges’ Entrance exam. I ended up winning a Scholarship to Christ’s college – this choice was made on the basis of a rather tenuous historical link to Ermysted’s. Our year seemed exceptionally blessed – several boys went to Oxbridge, and I was not the only person to win a Scholarship. Cambridge seemed rather daunting, until I remembered that Ermysted’s was founded in the 15th century, so moving even to an old college like Christ’s (founded 1505) could be argued to be a retrograde step! I then followed a path which took me via the world famous Cavendish Laboratory, out into the world of industrial research, where I would strive to do good physics at the interface between academia and industry, and get the best out of both worlds. From the early days I was a fan of the Ig Nobel prizes and their celebration of fun-but-serious work. Little did I dream that I would one day go to Harvard to collect such a prize, and a year later I would be invited to be the guest speaker at an Ermysted’s Speech Day. The 2012 Ig Nobel prize in Physics was shared with my collaborators Robin Ball and Ray Goldstein, and with Joe Keller from Stanford University. See http://www.improbable.com/ig/winners/ for more details. Now, looking back, the things Wally Evans was teaching us must have gone in somehow. I still know how to set up a spectrometer and I still remember how to use a Wheatstone bridge. It is these practical, experiential things that have stuck. I guess my biggest worry when I hear about modern teaching methods is whether there is an over-reliance on computers. Why experiment on pendulums swinging under gravity when you can simulate them on an iPad? But that misses the point (I’m sure teachers know this of course): the devil is in the details when you do practical experiments. The work that led to the Ig Nobel prize combined theory, experimentation, and data analysis – and used solid practical skills learnt over a long period of apprenticeship. I like to think the roots of that Ig Nobel prize lay in what Wally Evans taught us, and the way he taught us, all those years ago. So – thank you, Wally! Patrick is a staff scientist at Unilever’s R&D centre at Port Sunlight near Liverpool. 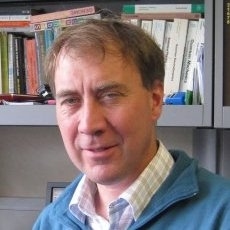 His interests include statistical physics and soft matter, and increasingly biological physics and systems biology. He was one of the recipients of the 2012 Ig Nobel prize in Physics. Read more about Patrick and his work here.